No Kidding! is an international social club for adult couples and singles who have never had children. We are neither a business nor a dating service. We are non-political, non-religious, and do not endorse or oppose any cause. We are a social club for adults without children. No more, no less! We currently have active chapters in Canada, New Zealand, and the United States. No chapter near you? Find out how others have started their own! 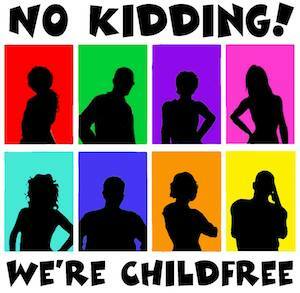 ...or join us on Facebook for open discussion with other childfree adults. © 2017 No Kidding! All rights reserved.